Eyes are the most important sensory organs in our body. With the advancement in the age of an individual, vision loss due to eye diseases increases. Though eye-related issues are common in many people nowadays, all of them do not necessarily cause serious problems if timely corrective action is taken. However some of them may lead to a permanent loss of vision. According to the National Eye Institute (NEI) and the CDC (Continuous Discharge Certificate), the most common eye diseases occur in people over age 40. NEI has identified common eye diseases in people are age-related macular degeneration, cataracts, diabetic eye disease, glaucoma. 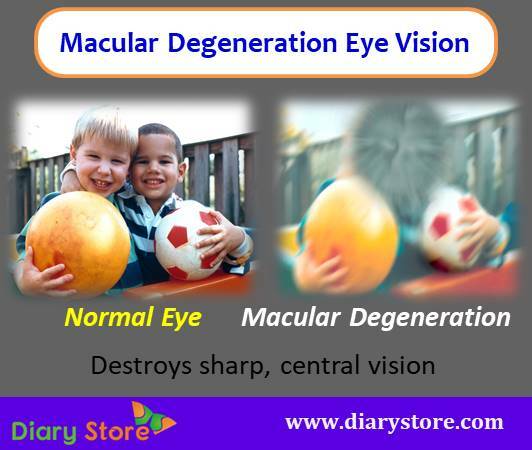 Macular degeneration is also called as age-related macular degeneration (AMD) because it is commonly associated with aging. It is a chronic, progressive disease that destroys sharp, central vision. Central vision is required to do tasks such as reading and driving. AMD affects the macula, a tiny part in the central portion of retina that allows to see fine detail. There are two types of AMD called “dry”, “wet”. Dry is the most common AMD, with 90% of AMD cases are dry. Wet is the less common AMD, though not totally non-existing . Protection from sunlight, consuming a balanced diet and quitting smoking can reduce the risk and progress of macular degeneration. 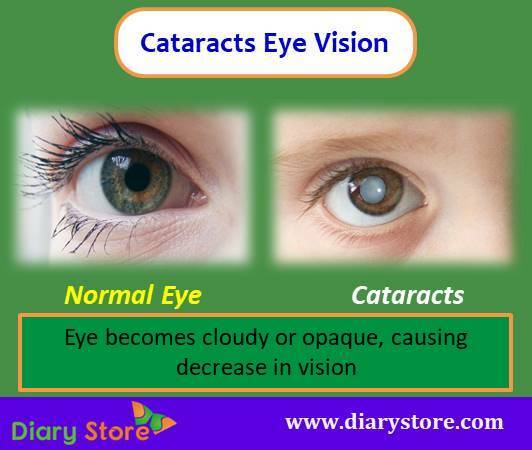 Cataract is one of the eye diseases in which the clear lens of the eye becomes cloudy or opaque, causing a decrease in vision. Cataract is very common in older people. It can occur in either or both eyes. It cannot spread from one eye to the other. Cataracts develop slowly and don't disturb your eyesight early on. Primarily, new glasses, brighter lighting, anti-glare sunglasses or magnifying lenses can help to deal with cataract. But if impaired vision interferes with your usual activities, you might need cataract surgery. It involves removing the cloudy lens and replacing it with an artificial lens. Researches recommend eating green leafy vegetables, fruits, and other foods with antioxidants can help reduce the risk of age-related cataract. Wearing sunglasses and a hat with a brim to block ultraviolet sunlight may help to delay cataract and quitting smoking can also reduce the risk of cataract. 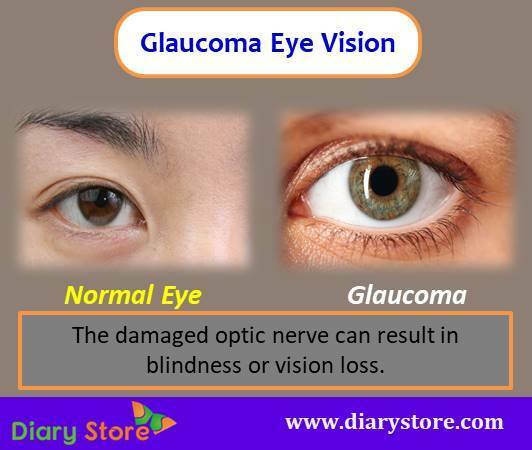 Glaucoma is a group of eye conditions that can damage optic nerve and can result in blindness or vision loss. It is the leading cause of blindness in the US. It is often related to buildup of pressure within the eye that causes damage to the optic nerve. Often there are no signs or symptoms in the early stage of the disease. Glaucoma can lead to a decrease in peripheral vision and eventually blindness if left untreated. There are several factors causing glaucoma; people at risk should get their eyes examined at least every two years. Peripheral vision is gradually lost. This nearly affects both eyes. There is no known way to prevent glaucoma and there is no cure for glaucoma but there are medications and surgery available that can help to stop further vision loss. 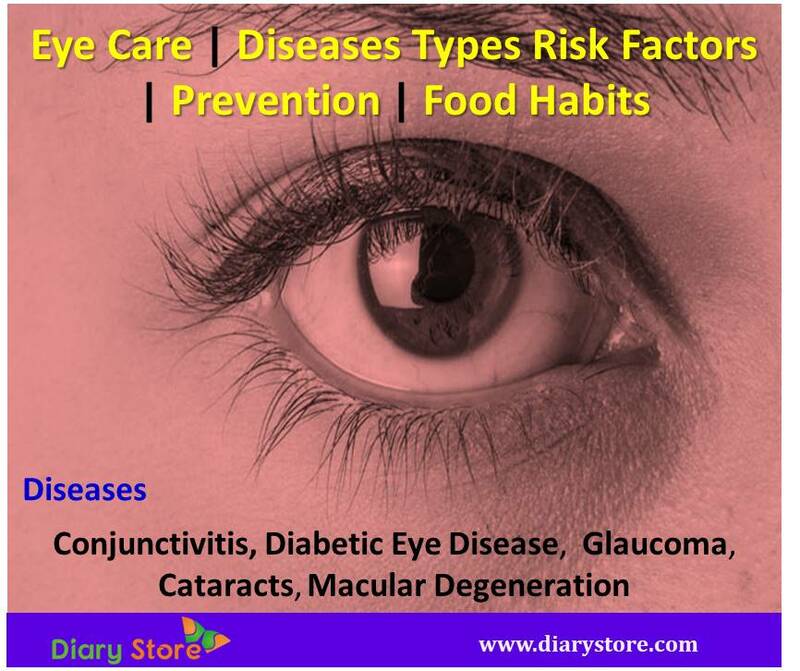 Diabetic eye disease is a group of eye conditions that can affect people with type1 and type2 diabetes, including cataracts and glaucoma discussed above and also diabetic retinopathy. Diabetic retinopathy damages blood vessels inside retina and the light-sensitive tissue at the back of eye. 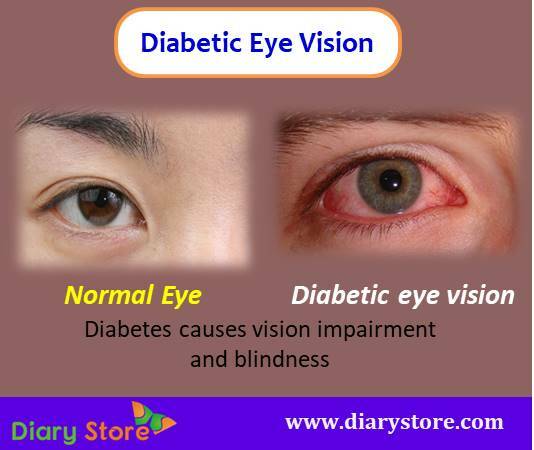 It is the common cause of vision loss among people suffering from diabetes and it is the leading cause of vision impairment and blindness among the aged working adults. People with some types of diabetes like type 1, type 2 and gestational diabetes are at risk of diabetic retinopathy. Risk increases with the longer periods of suffering from diabetes. Smokers are at a greater risk of blood vessel disorders, including retinopathy. Effective ways to reduce the risk of Diabetic retinopathy is by controlling your blood sugar levels and blood pressure levels, maintaining health diet, quit smoking,following an exercise routine and seeing your eye doctor once a year for an eye exam. 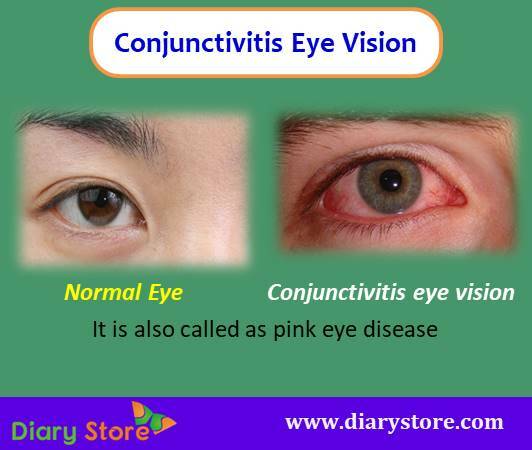 Conjunctivitis is also known as pink eye. Conjunctiva covers the white part of the eyes and the underside of the eyelids. It is a very common condition which can occur in one or both eyes. There are three types of conjunctivitis: Viral conjunctivitis, Bacterial conjunctivitis and allergic conjunctivitis. The infection causes from bacteria which forms pink eye. Bacterial conjunctivitis makes eyes red with a lot of sticky pus. Allergic conjunctivitis comes from an allergic reaction. It makes eyes itchy, watery and red. Viral conjunctivitis is a common type of pink eye. It is very contagious and spreads easily in crowd places. It causes your eyes become red with watery discharge and burning. Wash your hand with soap and warm water before applying ointment or drops to infected eyes. Avoid rubbing your eyes since it makes the problem more severe or causes to spread to other eye. Clean with cotton balls or wet cloth any discharge around your eyes and throw away the cotton ball immediately after use. Don’t share your personal belongings such as towels, pillows, washcloths, handkerchiefs, eye drops etc.